We aim to provide a forum for dialogue among the Diaspora, government and its agencies, the private sector and civil society organisations to enhance collaboration toward the achievement of the Sustainable Development Goals (SDGs) and the further development of the Federation. 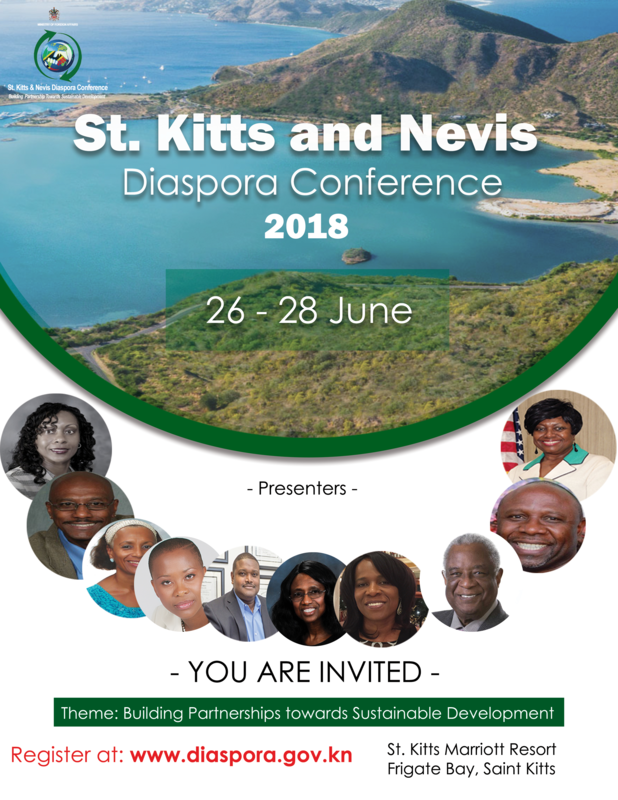 In June 2018, St Kitts and Nevis will hold its first Diaspora Conference with the aim of facilitating and strengthening networking between the Diaspora and national entities through interactive sharing and exchange of knowledge. The historic event has as its theme, “Building Partnerships towards Sustainable Development.” The theme captures the event’s intent to provide a forum for information sharing and networking opportunities aimed at building capacity for an uncertain future. It will attract approximately 300 diaspora participants from academia, government and the private sector who are widely dispersed across the globe including Canada, the United Kingdom, the USA and the UAE. Professor Jessica Byron is the Director of the Institute of International Relations at the University of the West Indies St.
Born on the beautiful island of St. Kitts, and raised in Leeds, England, Melvina now calls Houston, Texas home.